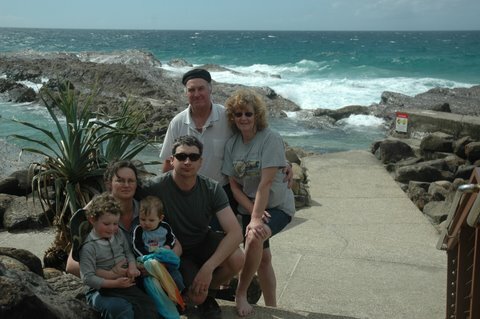 We had a terrific time at Wyndham Kirra Beach last year when we took our daughter, son in law and 2 grandsons over for a holiday. 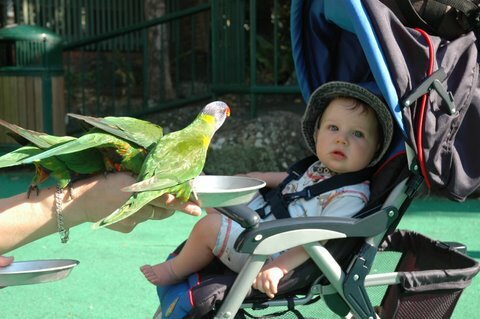 It was close to attractions and we went to Seaworld, which was amazing and Currumbin Wild life Park, and it was totally awesome. The beach was on the door step, the weather was great. While the guys went on a fishing trip we girls went shopping. Then one morning the guys took the little fellows on the bikes you can hire from Wyndham Kirra Beach and had breakfast out so we girls could have a sleep in. On the whole a great time was had by all. Jenny and Ken, Stephanie and Matthew, Connor and Ronan. This entry was posted in (QLD) Gold Coast and tagged australia, beach, gold coast, Kirra Beach, queensland, resort, vacation ownership, worldmark, Wyndham Resorts. Bookmark the permalink.